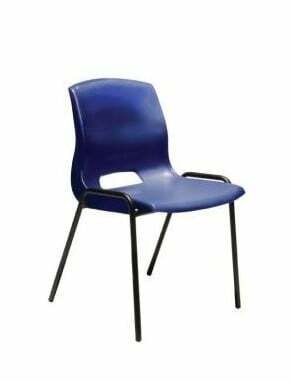 The Quad Stacking Chair has a polypropylene shell and sturdy black powdercoated tubular frame. It comes in either a 4 Leg design. It can stack 20 high and is available with a stacking trolley. It is Linkable and can come with a writing tablet.